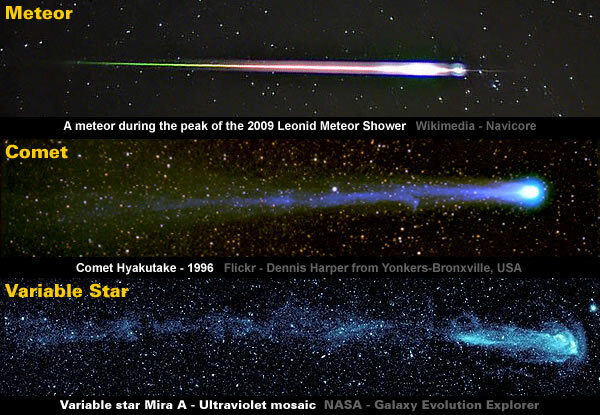 There’s a fairly widespread fascination for Comets that’s partly a response to the Cognitive Dissonance experienced when Astronomers authoritatively assert a Comet is a dirty snowball while the observer’s lying eyes see a scaled-up meteor burning-up in space. Place your Cognitive Dissonance on hold for five minutes and follow the clues. The relative abundance of light elements in Comet Halley suggests a Stellar connection. For several Solar System objects the abundances of key elements relative to silicon (Si) are plotted against the relative abundance of hydrogen to silicon. From top to bottom: oxygen (O), carbon (C) and nitrogen (N). The predominance of Cometary compounds containing Carbon [C], Nitrogen [N] and Oxygen [O] suggest a strong connection with the Stellar CNO Cycle. It appears the Cometary CNO Cycle doesn’t “run to equilibrium” because Carbon is the dominant Cometary element that produces the characteristic Swan Bands from fluorescing Diatomic Carbon [C2]. When the cycle is run to equilibrium, the ratio of the carbon-12/carbon-13 nuclei is driven to 3.5, and nitrogen-14 becomes the most numerous nucleus, regardless of initial composition. The Swan Bands suggest Comets are closely aligned with Carbon Stars. Swan bands are a characteristic of the spectra of carbon stars, comets and of burning hydrocarbon fuels. They are named for the Scottish physicist William Swan who first studied the spectral analysis of radical Diatomic carbon C2 in 1856. Fr. Pietro Angelo Secchi SJ (1818-1878) was an Italian astronomer. Starting in 1863, he began collecting the spectra of stars, accumulating some 4,000 stellar spectrograms. His recognition of molecular bands of carbon radicals in the spectra of some stars made him the discoverer of carbon stars, which made one of his spectral classes. In fact, the Wikipedia entry for a Carbon Star reads like an accurate description of a Comet – just ignore their pre-historic and prejudicial phraseology such as “ruby red” and “red giant”. By definition carbon stars have dominant spectral Swan bands from the molecule C2. Many other carbon compounds may be present at high levels, such as CH, CN (cyanogen), C3 and SiC2. 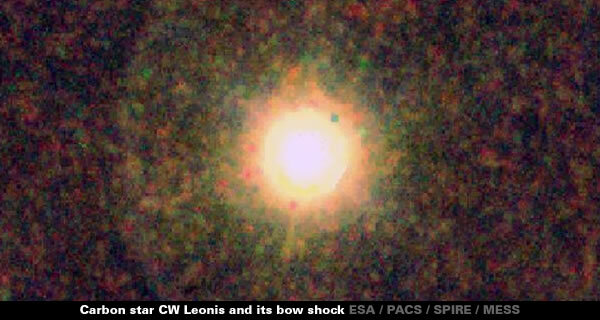 IRC +10216 or CW Leonis is a well-studied carbon star that is embedded in a thick dust envelope. CW Leonis is believed to be in a late stage of its life, blowing off its own sooty atmosphere to form a white dwarf in a distant future. In Classical Carbon Stars the abundance of Carbon is attributed to “helium fusion”. 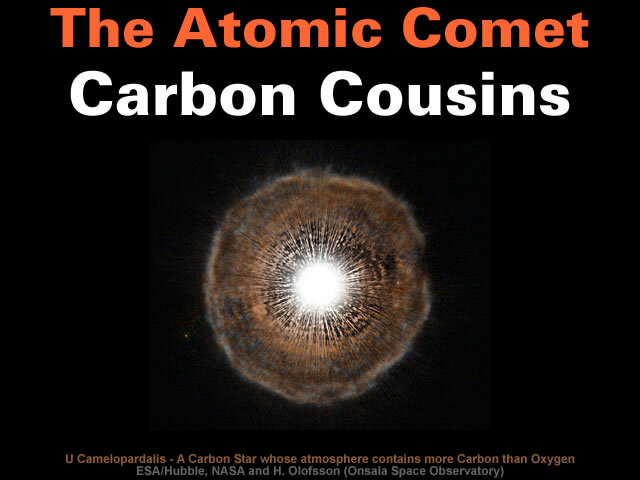 In the classical carbon stars, those belonging to the modern spectral types C-R and C-N, the abundance of carbon is thought to be a product of helium fusion, specifically the triple-alpha process within a star, which giants reach near the end of their lives in the asymptotic giant branch (AGB). The net energy release of the process is 7.273 MeV (1.166 pJ). This implies the Helium created by the Cometary CNO Cycle is then transformed by the Triple-Alpha Process into Cometary Carbon. The “fusion” of Cometary Helium would explain the absence of Helium in Cometary Spectra. An attempt was made with the extreme-ultraviolet spectroheliograph (S082A) to photograph the comet in the radiation from neutral and singly ionized helium at 58.4 and 30.4 nm, respectively. The Naval Research Laboratory team reported that no image was detected. The Triple-Alpha Process can produce “nuclides only up to nickel-56 (which decays later to iron)”. With further increases of temperature and density, fusion processes produce nuclides only up to nickel-56 (which decays later to iron); heavier elements (those beyond Ni) are created mainly by neutron capture. The Triple-Alpha Process explains the diverse composition of Carbon Stars. Various chemical elements and about 50 molecules have been detected in the outflows from CW Leonis, among others nitrogen, oxygen and water, silicon and iron. The Triple-Alpha Process also resolves the Reflected Light Enigma because a diverse range of fluorescing compounds would contribute to the Cometary White Light Continuum. The arcane attitudes of astronomy remained frozen and fossilised even after the Giotto mission discovered the [unmentionable] Reflected Light Enigma caused by Comet Halley’s “blacker than coal” nucleus surrounded by a cloud of tiny specks that resembled “cigarette smoke”. On 30.14 March 1997 we observed the EUV spectrum of the bright comet C/1995 O1 (Hale-Bopp) at the time of its perihelion, using our EUVS sounding rocket telescope/spectrometer. The spectra reveal the presence H Ly beta, O+, and, most notably, Argon. The Astrophysical Journal. 544 (2): L169–L172. Several organic molecules have now been detected in the coma of Hale–Bopp… organic molecules HCOOH, HCOOCH3, HC3N and CH3CN. We find that gas phase chemical reactions are unable to synthesize the observed abundances of these molecules, so all these species are most probably present in the nuclear ice. Organic Synthesis in the Coma of Comet Hale–Bopp? The noted coincidence of spikes in terrestrial Thorium 232 with Close Cometary Encounters suggests Comets also create “atomic nuclei heavier than iron” via the R-Process. The rapid neutron capture process or r-process is a set of reactions in nuclear astrophysics that are responsible for the creation (nucleosynthesis) of approximately half the atomic nuclei heavier than iron. This process entails a succession of rapid neutron captures (hence the name) by heavy seed nuclei, typically beginning with 56Fe. The captures must be rapid in the sense that the nucleus does not have time to undergo radioactive decay before another neutron arrives to be captured. The r-process therefore occurs in locations where there is a high flux of free neutrons. Overall, given the simplicity of the approach it’s surprising to discover so many of the Thorium 232 spikes align with “known” Close Cometary Encounters. 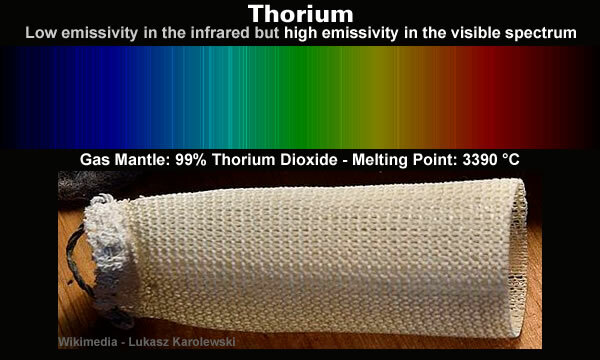 Thorium would significantly enhance the observed Cometary White Light Continuum. Overall, Whipple’s Dirty Snowballs appear to be Fusion Factories and when the pre-historic phraseology is stripped away they emerge as electromagnetic members of a Ferrous Fusion Family that include: Stars, Comets, Iron Meteors and probably Planets like Earth. In the case of comets, the difference is one of composition: while asteroids are mainly composed of mineral and rock, comets are composed of dust and ice. We present a new calibration of the elemental-abundance data for Asteroid 433 Eros taken by the X-ray spectrometer (XRS) aboard the NEAR-Shoemaker spacecraft. These revised abundance ratios are consistent within cited uncertainties with the results of Nittler et al. [Nittler, L.R., and 14 colleagues, 2001. Meteorit. Planet. Sci. 36, 1673–1695] and thus support the prior conclusions that 433 Eros has a major-element composition similar to ordinary chondrites with the exception of a strong depletion in sulfur, most likely caused by space weathering. A meteorite is a solid piece of debris from an object, such as a comet, asteroid, or meteoroid, that originates in outer space and survives its passage through the Earth’s atmosphere and impact with the Earth’s surface or that of another planet. Most meteorites are stony meteorites, classed as chondrites and achondrites. The rapid neutron capture process or r-process… entails a succession of rapid neutron captures (hence the name) by heavy seed nuclei, typically beginning with 56Fe. The cometary magnetic field temporarily merged with and overwhelmed Mars’s weak magnetic field. Astronomy need some serious counselling to overcome it’s bizarre fixation with Surreal Snowballs, Hallucinated Hailstones and Imaginary Interstellar Icebergs. Gallery | This entry was posted in As Above So Below, Astrophysics, Atomic Comet, Comets, Geomagnetism. Bookmark the permalink. An intriguing association is that between Nitrogen, neutrons and Carbon 14. This tendency for atomic rearrangement that Kervran’s experimentation had identified as occurring only above 400°C is now known to be induced by dimensional phonon resonance frequency matching of nitrogen with oxygen atoms. When heated to just above 400°C, nitrogen atoms become instilled with the resonant frequency of oxygen atoms at rest (20°C). The exact atomic data required for such complex calculations has been experimentally determined in the decades since Kervran’s insightful identification. Biological Transmutations by Professor Louis C Kervran English translation by Michel Abehsera front coverBiological Transmutations by Professor Louis C Kervran (English translation by Michel Abehsera) is an investigation into the possible natural changing of elements into different forms by life forms such as animals and plants. The original French version of the Biological Transmutations book by Corentin Louis Kervran was published a long time ago in 1962. Kervran wrote a number of follow up books. Michel Abehsera combined C L Kervran’s books into an English version that was published in 1972. Topics covered include the natural transmutations of Potassium, Calcium, Magnesium and other subjects like Agriculture and Medicine. What came first? The chicken or the calcium? Biological Transmutations by Professor Corentin Louis Kervran English translation by Michel Abehsera back coverThe classic examples that triggered previous investigation over the centuries are where does the limestone (mainly calcium carbonate) come from when it is found inside an incubating egg, the chicks skeleton and its shell – also the amount of lime excreted by hens? Especially if the Hens are on non limestone rock or soil or fed any calcium? My parents had a few chickens which they kept in a chicken coop adjoining a yard. We lived in Brittany, France where my father worked as a government official. The area was full of slate rock and granite, but absolutely devoid of limestone. Limestone was never given to the chickens, yet every day during the egg laying season they laid eggs with calcareous shells. Biological Transmutation C Louis Kervran bookI noticed this neat choice that had been made by the chickens, when the sun shined after a rain: well washed off, these hundreds of visible fragments looked like tiny mirrors. The imprints of the chickens’ beaks were easy to follow. No one could explain to me why chickens scratched mica and not sand. Whenever a chicken was killed I observed my mother opening the gizzard and finding small grains of sand, but never mica. Where did this mica go? Into the stomach? Why was this mineral swallowed by the chicken? Ninety-seven percent of the egg shell consists of calcium carbonate. The shell weighs approximately 6.0 g, so almost 6.0 g of calcium carbonate must be synthesized and deposited on the shell each time the hen produces an egg. For many hens, this is almost daily for long sequences. Calcium carbonate is 40% calcium, thus about 2.5 g of elemental calcium must be found and transported to the shell gland in the 18-20 hours it takes to form the egg shell. The calcium content of blood at any given time is no more than 30 mg. Thus the shell contains over 80 times more calcium than the content of the blood. Biological Transmutations Corentin Louis Kervran book electric universe theory euThe ideas in the book may have relevance to Electric Universe geology in regards to the chemical nature and transformations of the Earths material but also especially the chapter ‘Production of Calcium from Silicon’. Where does all the Earths chalk and limestone come from? Is it a natural transmutation of silica through Electric Universe geology processes? 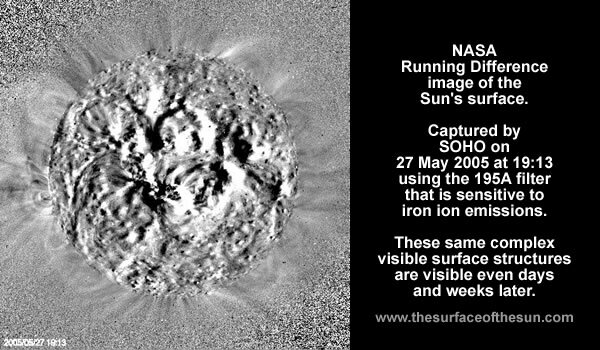 On the Venusian surface, nitrogen molecules are converted to carbon monoxide molecules by a catalytic nuclear reaction in the presence of red-hot iron. The brilliant French chemist, Louis Kervran, when investigating carbon monoxide poisoning of welders, discovered this surprising nuclear transformation. Aha! So that is why space is so cold! The dust that comet 67P/Churyumov-Gerasimenko emits into space consists to about one half of organic molecules. The dust belongs to the most pristine and carbon-rich material known in our solar system and has hardly changed since its birth.